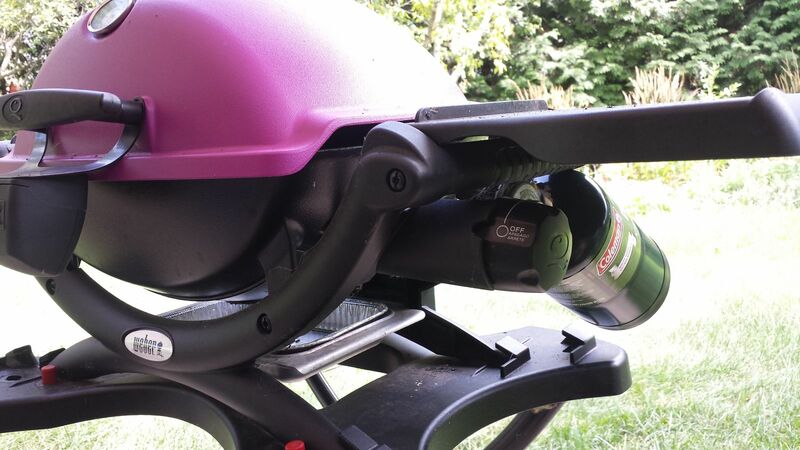 The Weber Q grill is awesome and takes portability to another level for grilling on the go. With that said, the Weber Q also makes for a perfect patio grill. I have a Q1200, a Genesis gas grill and a Performer charcoal grill, I love them all but I find myself gravitating towards the Q most nights. You have probably seen that the Q uses the small portable gas canisters which you can find at most stores that carry grills. These tanks last for about 1.5-2 hours with standard use. If you are tailgating, camping or just moving your Q around a lot, this tank option will be perfect for you. Just always make sure you have some extras on hand for when you run out. 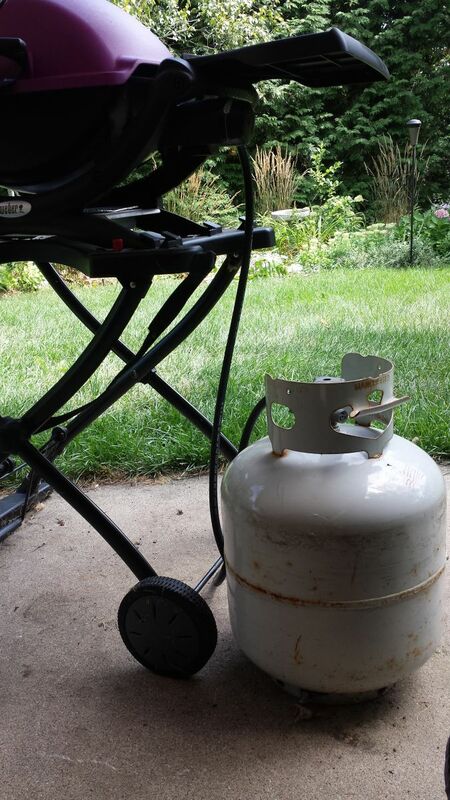 If you are like me and grill night after night, you will burn through a lot of those small gas canisters. So when my grill is on my patio, I actually like to hook it up to a 20-lb LP tank using the 6 foot adapter hose. You can get the adapter hose online here and it works for the Weber Q 100/1000 and 200/2000 series gas grills and the Gas-Go Anywhere. The flexibility with the fuel options really helps make this grill portable or stationary, depending on how and where you want to use it.